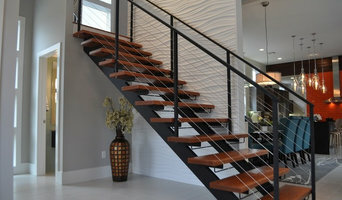 Acadia Stairs has helped countless home and business owners improve the aesthetics and functionality of their home or building through our unique staircase designs. In addition to working directly with handy homeowners, we also work closely with contractors, builders, architects, carpenters, engineers and other professionals who need a specific style of stairs fabricated for their project. Regardless of your needs and preferences, we will fabricate the ideal staircase for you. 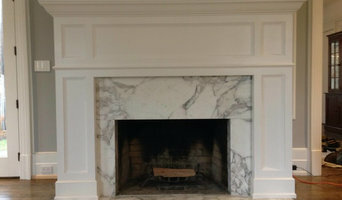 Each of the stairs we work on are built precisely to shop drawings, and we can ship to anywhere in the country. Additionally, our clients can choose from a wide variety of accessories for their stairs, including wooden treads on handrails, stainless steel railings and many other options. Acadia Stairs is a fabricator of metal spiral staircases, modern architectural stairs, steel curved stairs. We also make wooden ship ladders, stainless steel railings and other misc. architectural metal works. da Vinci by Design, Inc.
da Vinci by Design features architectural staircases and railings that turn the practical into the lyrical, and architecture into art. Our styles are original yet archetypal, bold yet timeless, allowing complete freedom of expression to the designers using them. The company — based in Baltimore, MD with a Brooklyn, NY showroom — has been importing architectural products from Italy for eighteen years. Scores of projects, from coast-to-coast (and even internationally) have featured da Vinci by Design products. 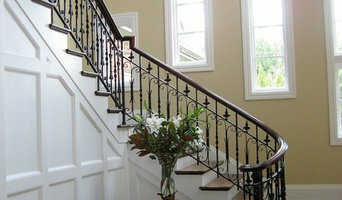 The staircases and railings we import offer distinctive designs and peerless craftsmanship. These products are the finest of their kind. With virtually unlimited variations and options, these stairs will transform your design into a truly breathtaking creation. To take your project to a whole new level of inspiration, contact us today. 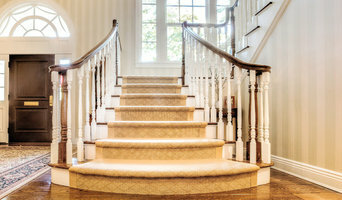 Top Quality Stairs provides all types of beautiful and unique wooden staircases for interior residential projects at reasonable prices. Our professional and friendly staff can help you design and create your own custom staircase and railing system to improve the look and feel of your home. Our goal is to ensure that our clients have a seamless and positive experience working with us, therefore, providing excellent customer service and high end final project is very important to us. We are here to provide you with custom wooden stairs and rails for all your projects. 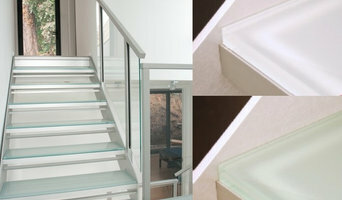 Top Quality Stairs - Building Beauty Step by Step. Stairlab Inc. is the American venture of Rintal (www.rintal.com), the Italian staircases company leader in the business of interior and exterior design stairs throughout the world for quality and innovation. Today, we became a laboratory of design and technical innovation, continuously creating new Solutions which make stairs become a real piece of contemporary design.